Here at Ticket Alternative, we love being a part of large events and festivals! As any event organizer knows, there is more to putting an event on sale then just setting a ticket price. 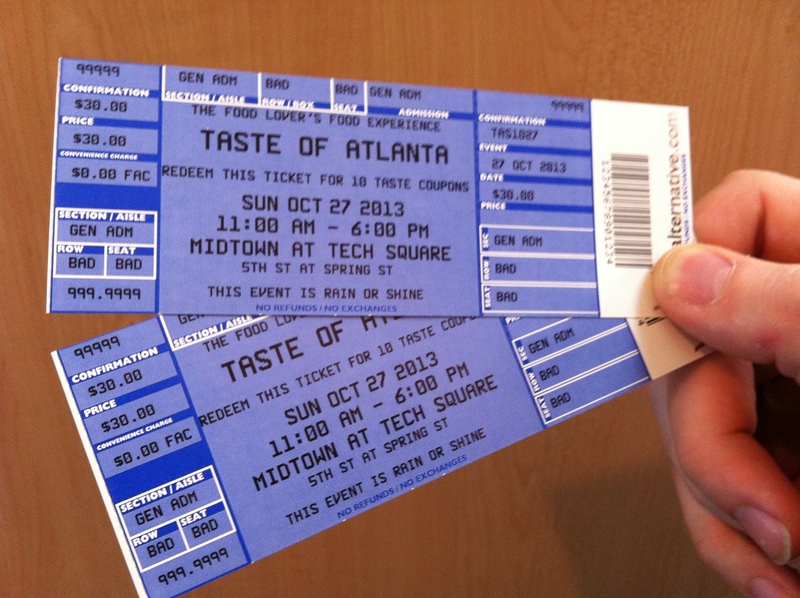 Taste of Atlanta is a great example of just what we can bring to the table. •Create “buzz” and build a customer base around the event through unique usage of social media outlets such as Twitter, Facebook, Instagram, etc. Did you know that our customer service staff is not only trained to help answer general event questions, but they can also help patrons find the perfect hotel, restaurant or shopping district around the event area? We like to call ourselves a one-stop shop! Plain and simple- we want to help you! If you’re feeling overwhelmed with planning your event, hand over all your stress to us! After all, this is our job and we love it! Contact us at client-support@ticketalternative.com for more information. Let Ticket Alternative Get You Into the Halloween Spirit!